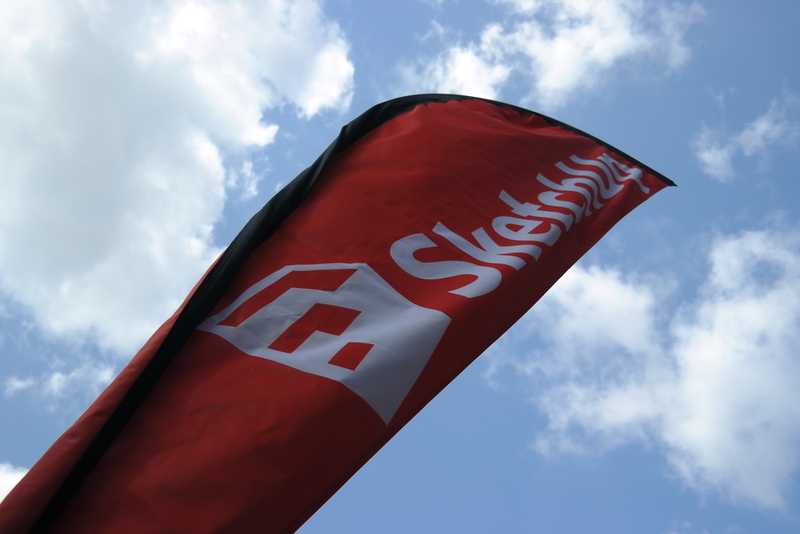 Just a few weeks ago I had the privilege of attending Maker Faire once again with the Sketchup team. For those of you that remember, last year we built a Wikihouse. This year we were a little pressed for time, so rather than a big team of fabricators, fabrication fell on myself. We wanted to make something that was impressive, but also light and fast to build. 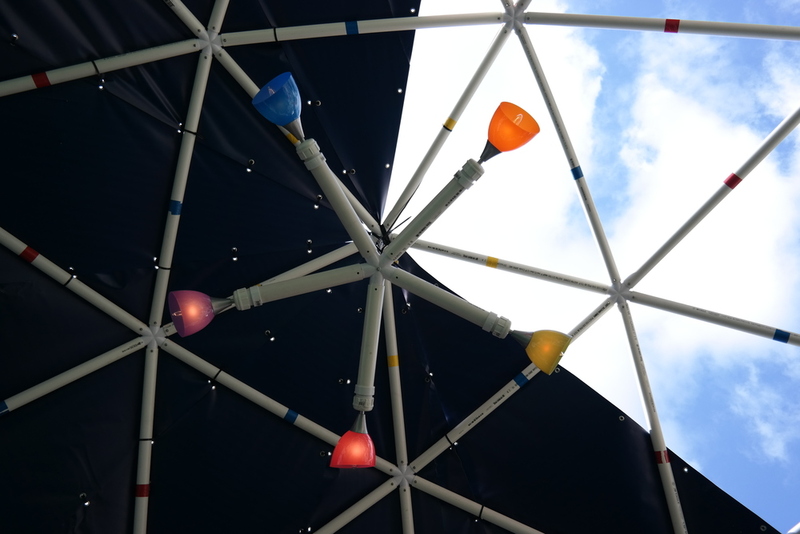 PVC geodesic domes fit the bill. They are very cool looking, incredibly strong, and easy enough for a DIYer to make. 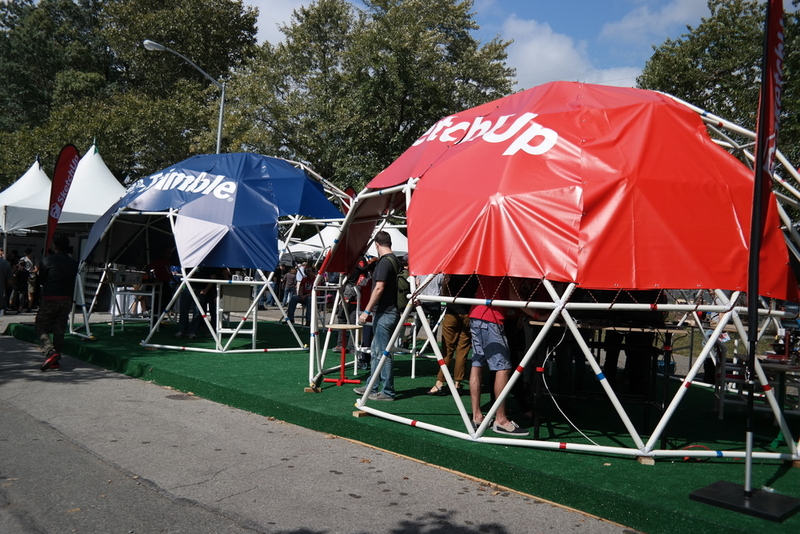 Now we ratcheted our design up to 11 because that's what we like to do at Maker Faire, but the way we built are domes really is something that someone with simple saws and some time could pull off in a garage. Even though I fabricated these myself in a garage, I needed a team of people to help put them together. The folks at Sketchup did an absolutely amazing job assembling them. You can see so in the video below. In an upcoming post I'll go into detail as to exactly how we fabricated this, and how you can fabricate your own. For now, check out the pictures!